Early dawn before sunrise is my favorite time of day, and when you add a lingering moon to the mix it is just about perfect. Now if we could only move it to a time later in the day so I didn’t have to get up so early. 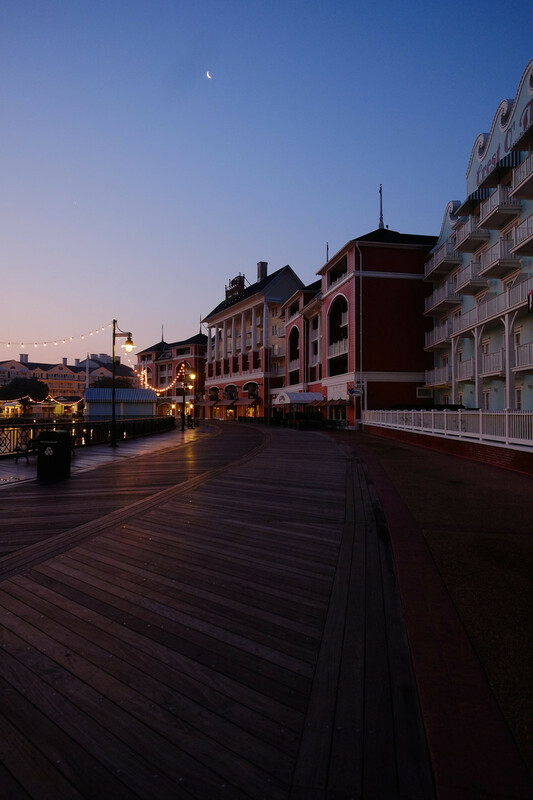 This is a section of the Boardwalk Resort area in Walt Disney World’s Epcot Resort complex.